This super handy mini magnetic powerbank is perfect for on the go. 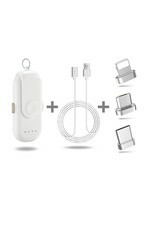 It is light, takes up little space and you connect the powerbank easily to your device by the magnetic interchangeable connectors. 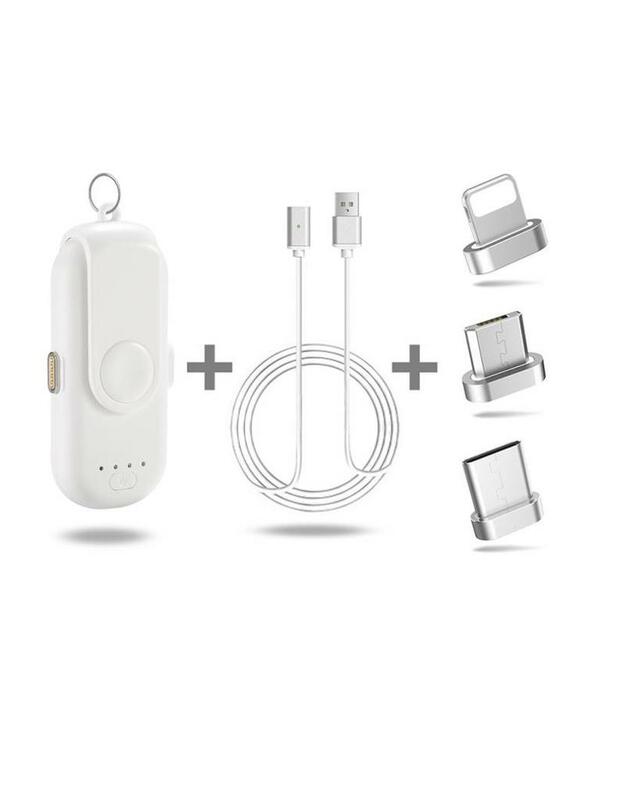 These are extremely powerful so that your device does not disconnect easily from the power bank. The powerbank comes with a handy ring so you can attach the powerbank to keychain. The Powerbank is suitable for IOS, Android and Type-C devices.